On radio, when a new concept hits the air waves, the listenersa�� verdict is almost instantaneous. WhenA� a show meets the criteriaa��uncomplicated and simplified contenta��it free falls right into their database. Of course, not all concepts reach the finishing line. But the ones that do will always have recall value. You cana��t be too early or too late while launching a concept; the timing has to be right in order for it to be a hit. Sometimes, therea��s a domino effect in which one station starts a campaign and the rest follow. In a scenario like that, the true objective of the original campaign gets diluted. Hence, being first is being the future. Always on that track is Big 92.7FM. Ita��s a station that has consistently lit up its soundscape. This time around they are taking their listeners back to the golden days of music. Ita��s always refreshing when a station celebrates a legenda��s birthday, especially someone who has given us timeless classics. A blast from the past is welcome because it breaks the monotony of listening to current music. 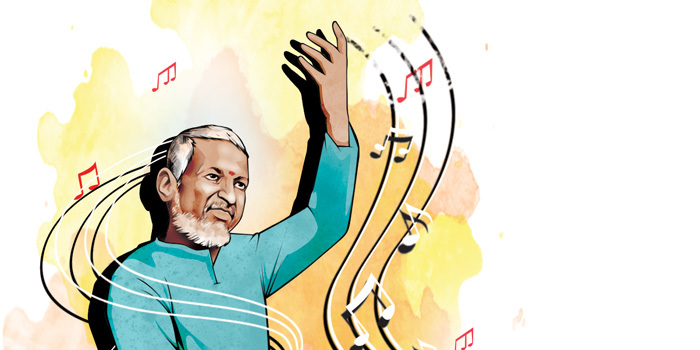 If you are an Ilayaraja fan, then keep your ears tuned in to Big 92.7FM as theya��ve kick-started a unique offeringa��the Isai Gnani Ilayaraja Festival. Along with soul-stirring music, listeners will get never-heard-before trivia about the music maestroa��s life and his contributions to Tamil cinema. RJ Miruthula engages with noted celebrities who talk about working with Ilayaraja, and their favourite songs composed by the stalwart. Some of the celebrities who are to be featured include Kushboo, Raghuman, Nilalgal Ravi, Poornima Bhagyaraj, Saranya Ponvannan, Vaigai Chandrasekar, Nirosha, Sripriya, S P Shailaja and Yesudas, along with directors who have worked with Illayaraja. When you have programming that deals with classics, youa��ve hit the bulla��s eye because the magic of a retro song is that it can bring back memories. You can catch the brilliant compositions of the legend on Rajadhi Raja from 11 am to 2 pm. See you next week!